I adapted the recipe from Bernard Clayton Jr’s Complete Book of Breads, mainly by omitting the dried milk powder and much of the sugar and by weighing the ingredients, so you won’t have to. In a large bowl, stir together the dry ingredients; flour, cornmeal and sugar. If using fresh yeast, crumble it in with the dry ingredients. If using dried yeast, follow the instructions, either adding to the dry ingredients or first proving with a little of the warm water. 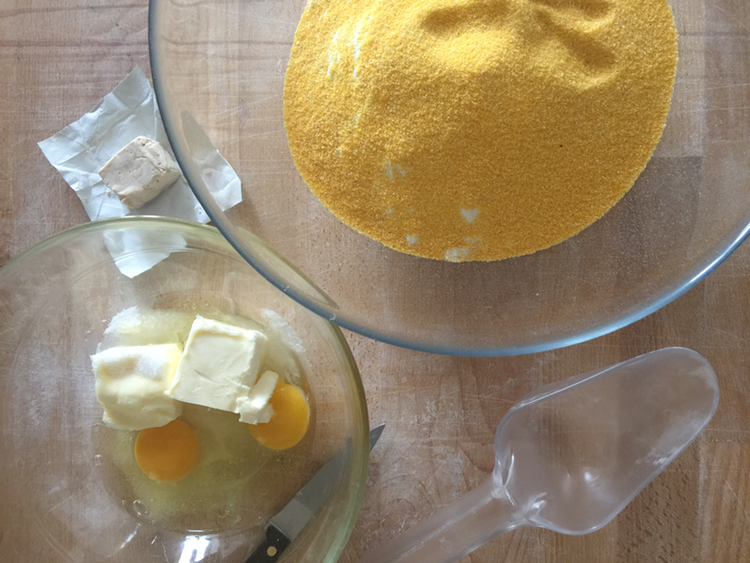 In a second bowl, cut the butter into smallish pieces, add the eggs and salt, pour on the warm water and mix. Add the proofed yeast, if that’s what you are using, and stir well. Pour the liquid onto the dry ingredients and beat well into a stiff batter. 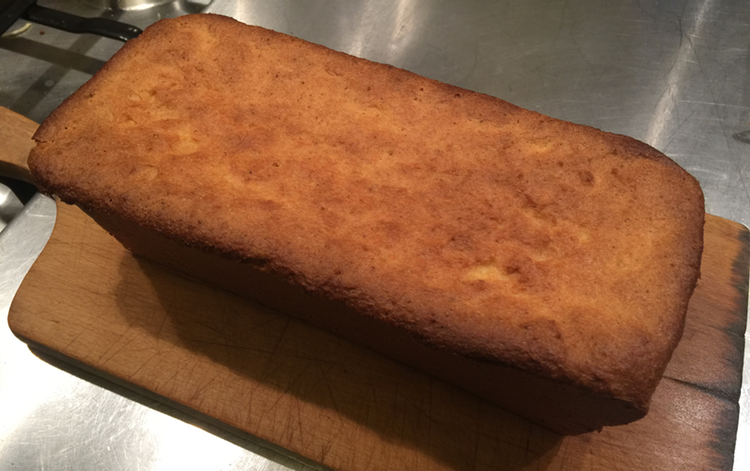 Grease two loaf pans — mine are 11 x 24 x 7 cm — with butter and pour in the batter, smoothing the surface with a wet spatula. Set the loaf pans aside for an hour to rise, covered with a damp tea towel. The batter will easily double. Preheat the oven to about 200°C, place the tins in the middle of the oven and bake for 30-35 minutes. Test like a cake, with a toothpick, which will come out clean when the bread is done. Serve with lashings more butter. This bread does not keep too well. But then, you won’t need it to because it will be all gone before you can say “knife”. For the chilli, you’re on your own.